Before booking your Australia vacation packages, please read carefully through our Australia travel tips guide where we introduce you to some of the major points of interests in the country so you can plan your vacation better. Australia is a country located in the Southern Hemisphere and is considered a separate, smallest, continent on the planet. The main territory of the country lies on the mainland and a small isolated island of Tasmania separated from it by the Bass Strait and a handful of tiny islands. The Australian continent is washed by two world Oceans, Indian and Pacific. Its geographical location creates a desert and semi-arid climate with median temperatures varying by the parts of the country and seasons. While the Northern parts of Australia are either hot wet or hot dry no matter the season, its southern parts experience chillier weather in the winter months (June to August). Remember that the seasons are entirely switched on the Australian continent because of its location below the equator! The diversity of Australia’s climate and its geographical location made it possible for it to develop exclusively endemic to the region types of flora and fauna that could not be seen anywhere else on the planet. Some of the most well known representatives of the Aussie’s fauna are koalas, kangaroos, wombats and birds, including emu and kookaburra. The continent is also home to world’s deadliest snakes, spiders, crocodiles and predators. Despite its remote location from Northern America and Europe, Australia is one of the most developed countries in the world with high ratings on the standard of living, income per capita, education, healthcare and many other social and economic aspects of development. 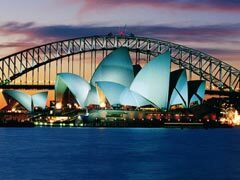 Here’s a brief Australia travel guide of major cities that are all popular vacation destinations on the continent. Sydney is one of the most beautiful cities in the country brimming with a great free spirit inspired by miles of its gorgeous coastline and people living on it. The largest city and cultural capital of Australia truly offers its visitors some of the best in almost every aspect of its lifestyle including its cultural and historical venues, its nightlife scene, culinary adventures and popular attractions. Sydney Opera House is one of the most recognized Australia attractions in the world with its characteristic architectural design that readily reminds its viewers of different things like segments of an orange, mating turtles, sailing ship and many others depending on the eyes of the beholder. This attraction can only compete in its beauty with the Harbour Bridge, one of the cherished steel constructions in the capital that connects the Rocks with the Northern Parts of the city. Locals recommend you walk or bike across it allowing you to take in the most of its magnificence. Our Australia travel guide readers will be delighted to find out that most museums in the capital are free and could be enjoyed by almost all art lovers despite their tight budgets. For outdoor junkies and animal lovers, the capital offers a lot of wildlife encounters that could be experience at the local Taronga Zoo, Aquarium, Koala Park Sanctuary and Featherdale Wildlife Park. Melbourne is an incredible multicultural city in Australia offering some of the most culturally diverse experiences set at the backdrop of Victorian style architecture complimented by modern era developments with Federation Square being its best example. The city attracts every kind of hippies, starving artists and street musicians adding an incredible eclectic flair for a perfect recipe of your Australia vacation packages. Federation Square, the perfect place to take a stroll or simply hang out with friends for the locals, is becoming the favorite among travelers, too. Stay in the City Center and explore other nearby attractions, namely, its Docklands, Eureka Tower, Queen Victoria Market and many others. Because of the city’s ever changing weather it can go from heat to cold within a matter of hours, according to a lot of Australia travel tips guides, always dress in layers and carry an umbrella at all times. Brisbane in the recent years has matured from a suburban metropolis into one of the most desirable and relatively affordable places in Australia compared to its neighboring, described above cities. This friendly down to earth city offers all of the glitz of the modern urban hotspot with a suburban charm. Among its attractions visitors will be delighted to visit its Botanic Gardens, Alma Park Zoo and Lone Koala Sanctuary where you can feed, pet and even hug cute koalas. Mount Coot-tha is the highest mountain in the area that opens magnificent panoramic views of the city and one of the lovers’ lanes on the city. Hike, bike or drive up to its top to enjoy the views. Cairns is a smaller city in Australia with two main focuses of being a major tourist hub and also its agricultural industry of growing grapes for wineries, bananas, coffee and its sugar cane. This edgy cosmopolitan city is surrounded by the rainforests opening vast opportunities for true nature lovers and adrenaline junkies. Here there’s no limit of water sports you can try ranging from swimming, snorkeling, diving and everything in between. However, the city is a starting point for discovering one of the world renowned attractions, Great Barrier Reef that is the largest one of a kind ecosystem on the planet. 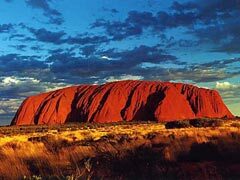 It’s also one of the Seven Natural Wonders of the World that is under protection of the Australian government. 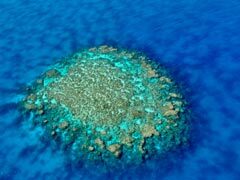 The Reef is a highly desirable place for scuba divers and tourists. You can explore it by booking a boat tour, a cruise or even a helicopter flight, however, by far the most popular way of seeing it is to go diving or snorkeling. Darwin is a tiny city situated at the north tip of the Northern Territory in Australia overlooking the Timor Sea. The city celebrates its multicultural side where immigrants from almost 50 countries peacefully co-exist with crocodile hunters and aboriginal nations. Some of the highly coveted Australia National Parks are found here including, Kakadu National Park, Darwin National Park and many others. Traditionally inhabited by aboriginal cultures, Kakadu National Park is the biggest in the country showcasing the beauty and biodiversity of the continent spiced up by a high concentration of sacred and aboriginal art sites. Perth is a large city located in the Western part of the country on the shorelines of the Indian Ocean that has been numerously referred to by many travel guides as a rather boring travel destination, however, it has blossomed into a hip cosmopolitan oasis. The city is perfect for all sorts of activities, including swimming at some of the best beaches in Australia, wine tasting, wildlife exploration and many more. Visit the Aquarium of Western Australia and the Perth Zoo to catch a glimpse of Australia’s best sea creatures and animals. Perth Mint is also a must to visit, especially if you are a numismatist at heart. Adelaide is a gorgeous capital of the Southern Australia offering plenty of discoveries for different types of visitors from wine sampling to fine dining and cultural venues. The city is also a popular spot for Festivals that happen every March and could be of interest to horse lovers, music fans and art lovers. There are also plenty of National Parks you can tour including Cleland Conservation Park inhabited by koalas, kangaroos, wallabies and other animals native to the Land of Aussies. From here you can book a tour to see one of the most frequently visited Islands’ in Australia, Kangaroo Island, where visitors will be treated to some of the closest wildlife encounters with kangaroos, koalas, echidnas and even sea lions in their natural habitat. Before you book your Australia vacation package, please take the time to study various Australia travel tips guides to make your experience more enjoyable and prevent potentially dangerous encounters due to its climate and abundant wildlife that Europeans and North Americans are simply not used to like poisonous snakes, bugs and crocodiles. Talk to your doctor about the need of malaria and Dengue fever diseases prevention and what to do in case you do come down with these illnesses. In addition, exercise caution when swimming or snorkeling and stay away from Box Jellyfish – they sting.